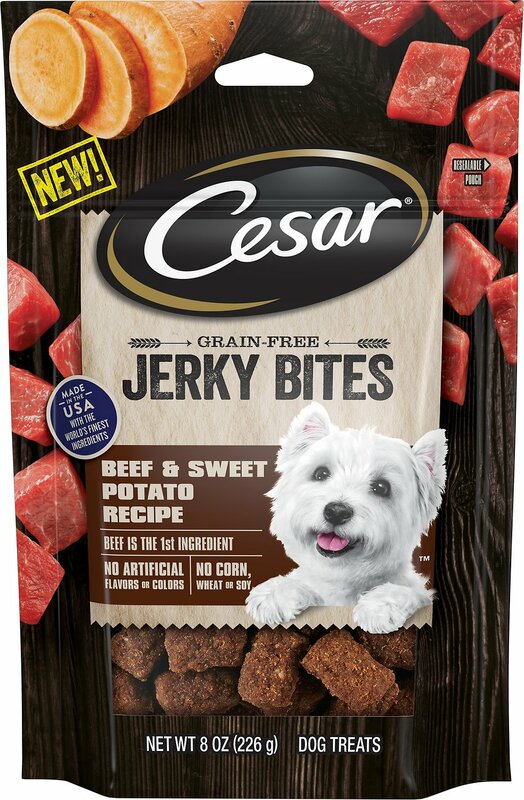 Delight your tail-wagging meat-lover with the Cesar Jerky Bites Beef & Sweet Potato Recipe Grain-Free Dog Treats. 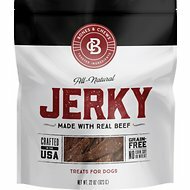 These jerky treats combine real beef as the first ingredient with hearty peaches for a mouth-watering snack he’ll be begging for. 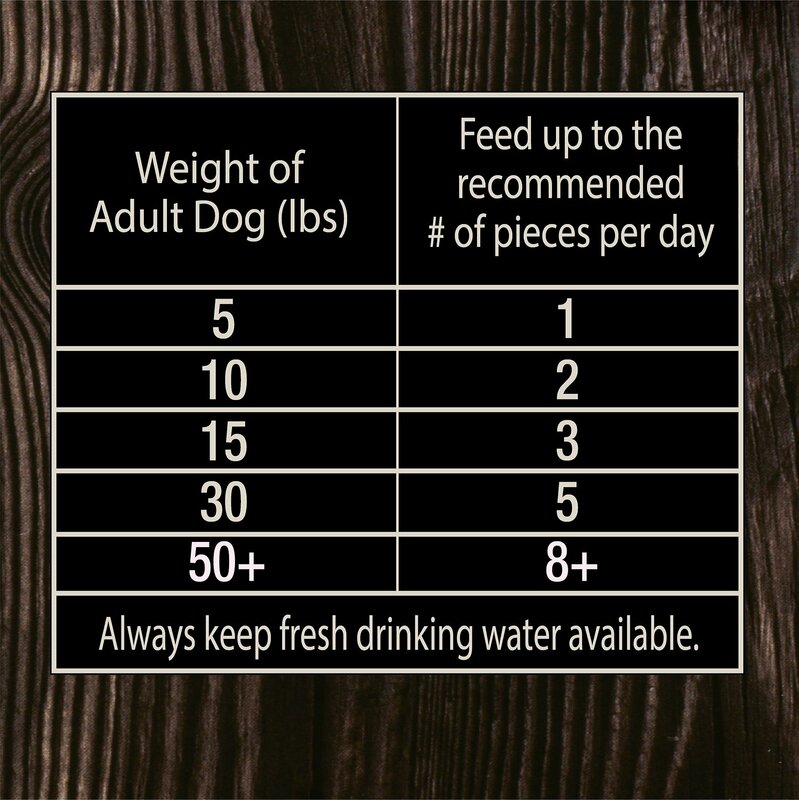 And with zero grains, corn, wheat or soy, you can feel good about keeping this doggy-approved goody in his nosh stash. So treat your pooch anytime he does something impressive, or when he’s being extra cute, which is pretty much all the time! No worries, they come in a resealable pouch so you can always keep them fresh and handy. Beef is the first ingredient so it’s a good source of healthy protein and packs the meaty flavor dogs love. 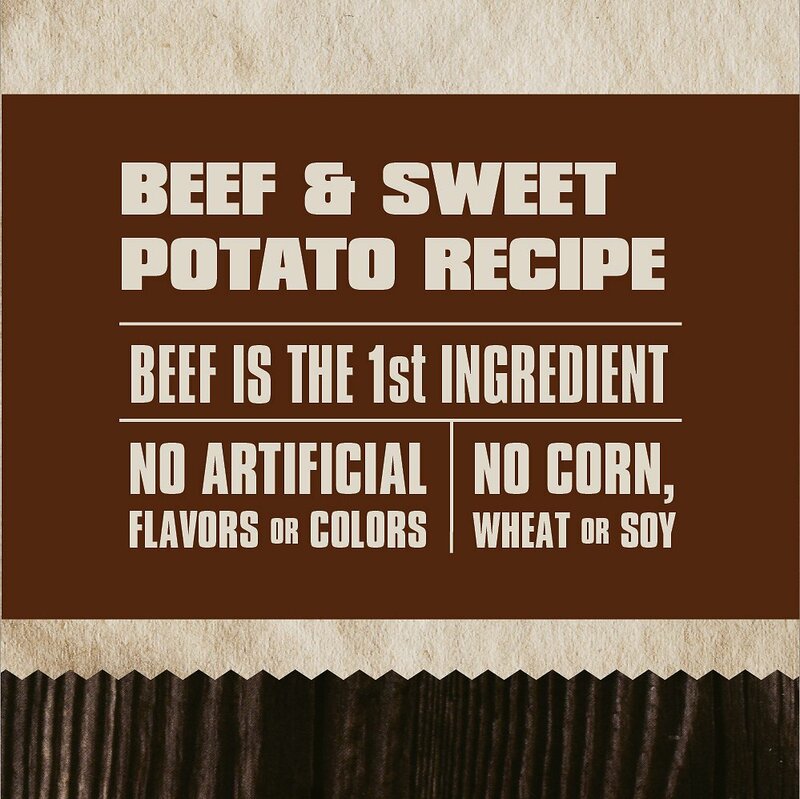 Flavorful duo of beef and sweet potatoes is sure to delight picky eaters, and is made with zero corn, wheat, or soy so it’s great for pups with sensitivities. 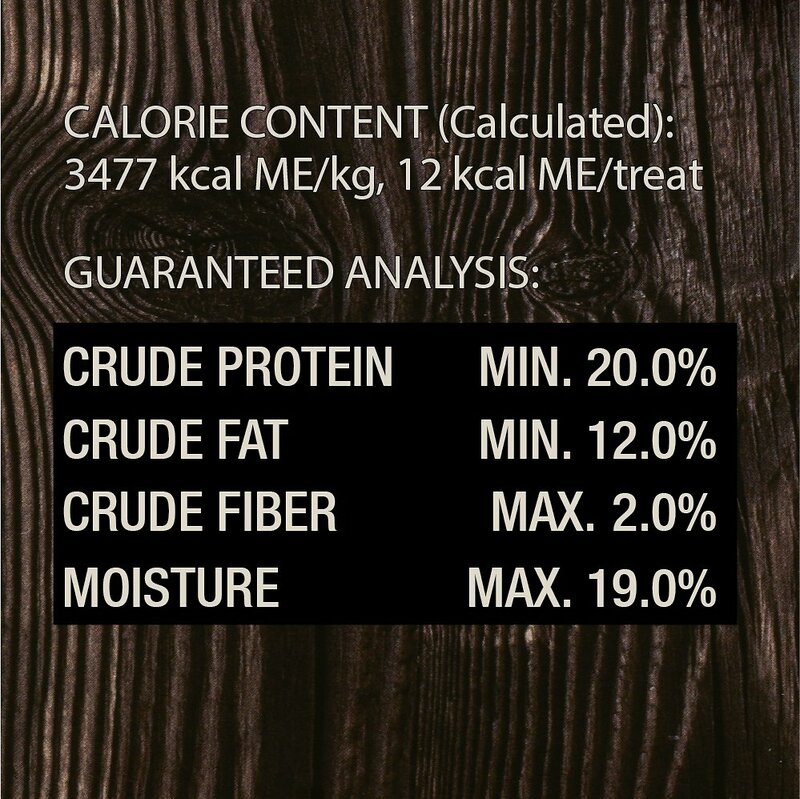 Beef, Dried Potato, Glycerin, Dried Sweet Potato, Brown Sugar, Salt, Natural Hickory Smoke Flavor, Mixed Tocopherols (A Preservative), Rosemary Extract. Great training treat. The dogs just love them and the ingredients aren't full of fillers you don't want. Also made in U.S.A. This has got to be Ozzie's all-time favorite treat. Nice and soft, smells great, he loves these bites! Pup just loves these! Recipe is very pure so feel confident feeding these. Have not tried other flavors. My little dog is very picky about food and treats! Was trying all kinds of treats for little dogs. She would not eat any of them. 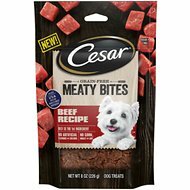 Then found this new one on Chewy.com (could not find in store)from Cesar and she loves them. Thanks so much Chewy! One of my boy's favorite treats! He really gobbles them up! Will definitely need to order again! My little girl loves these jerky bites. We are glad they came out with these. All our doggies love them and a great training incentive. My 3 Chihuahuas love this treat. The female vocalizes their desire for it. She barks and scratches on my shoulder while her 2 brother stand by and wiggle. It is funny ti see their excitement when they hear her begging.